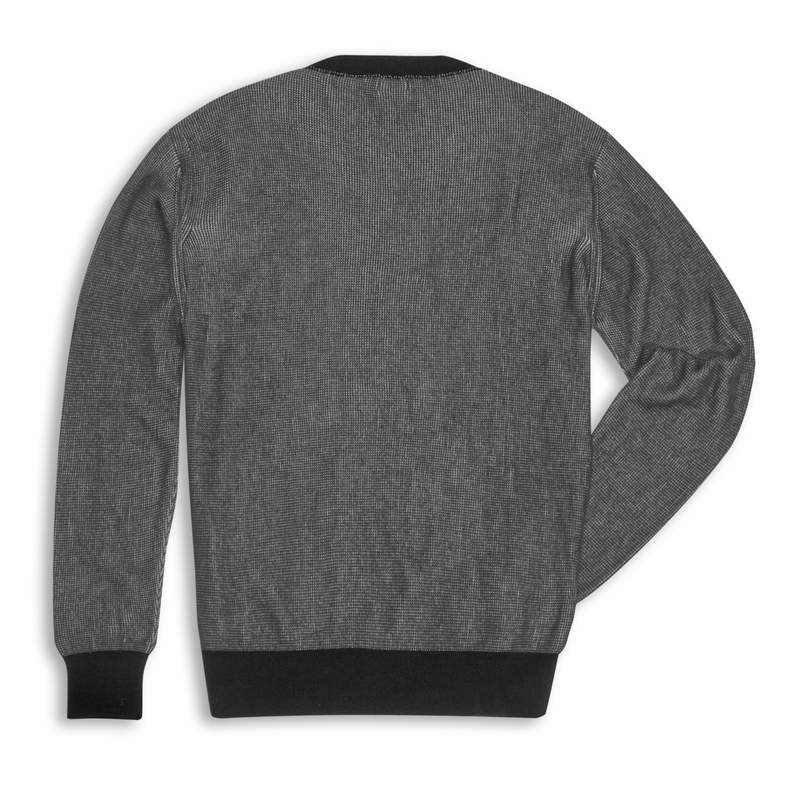 The Legend sweater is a cool piece, full of character, that the contemporary dandy can wear every day, standing out wherever he is, not only while on his bike. 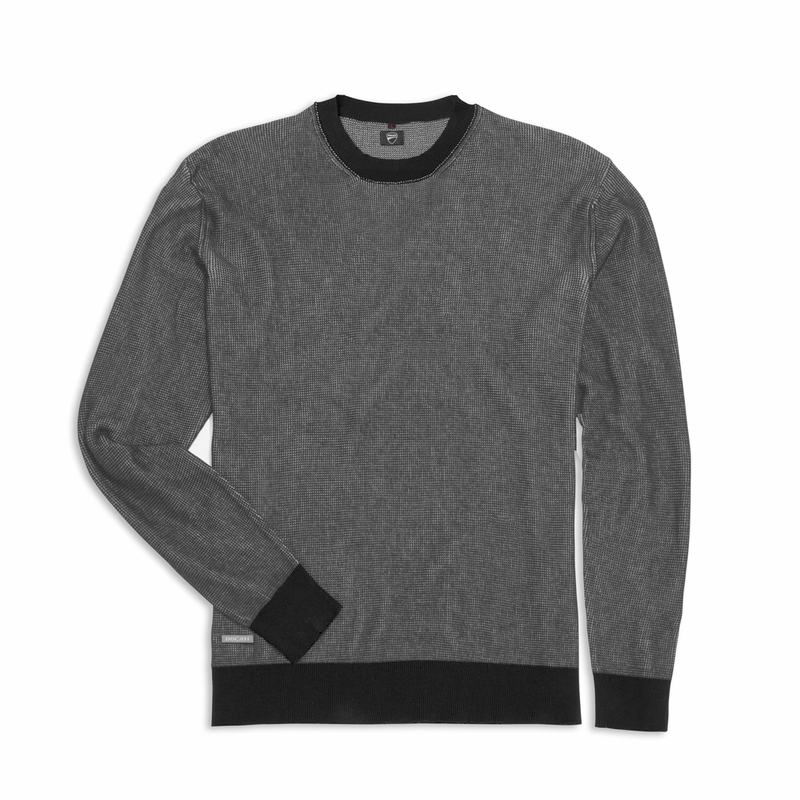 A garment created in pure cotton with an exclusive two-color weave, in which black and silver yarns create a dynamic effect with their light-dark tones. Stitched on with red thread, the metal Ducati tag with bas-relief X gives this garment a touch of class, making it a must-have in the wardrobe of the rough gentleman. Materials: 100% cotton.